Check out WRL staff and members on these past webinars! 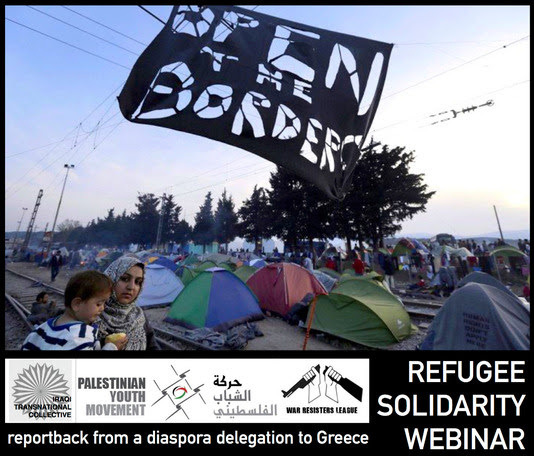 WRL hosted a webinar report back from members of the Iraqi Transnational Collective, recently returned from working with refugees in Athens, Greece. Watch the video below, to learn about the remarkable groups ITC collaborated with, the ways refugee communities are supporting each other in the face of war trauma and harsh criminalization, and the role diasporas and campaigning can play to build solidarity across closed borders. Read more on speakers + resources here. Featuring Tara Tabassi of War Resisters League, Lara Kiswani of Arab Resource and Organizing Center and Leila of Stop ITOA Coalition. 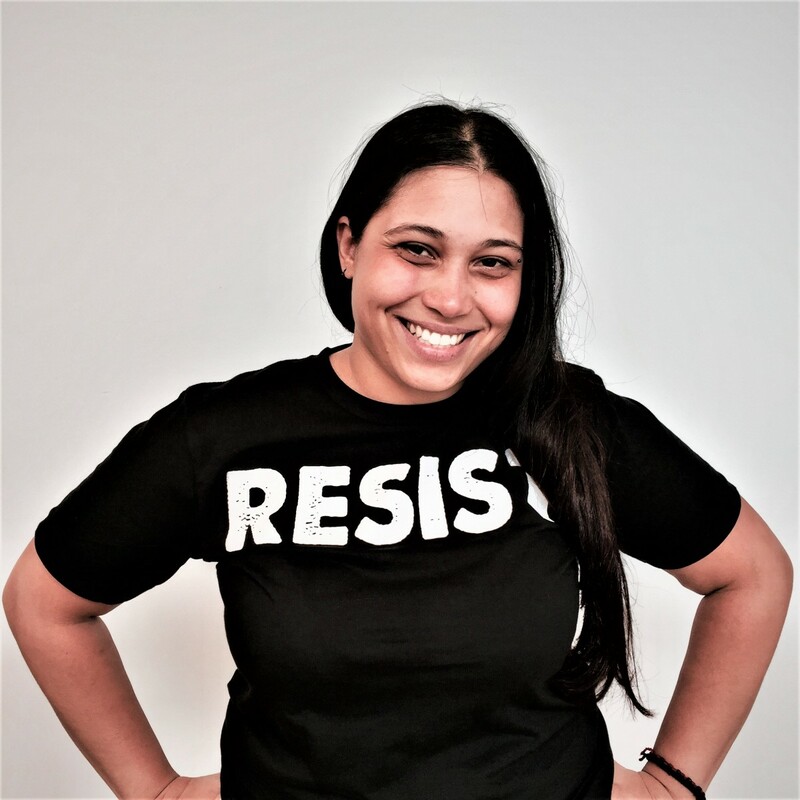 Watch this recording of the Resist Police Militarization webinar on March 22, 2017 to learn more about police militarization, community-led resistance efforts in the Bay Area and Chicago, and why this is an issue of concern for activists supporting Palestinian rights! You can download the presentations here and here.